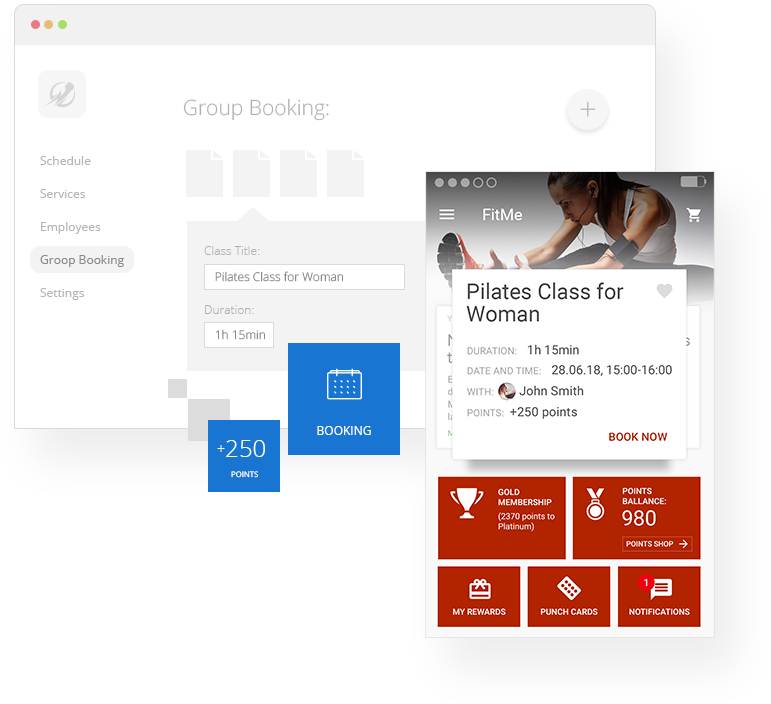 By using bobile’s composer you’ll be able to create an app for your business that automatically engages its users, converting any visitor into a frequent club member. 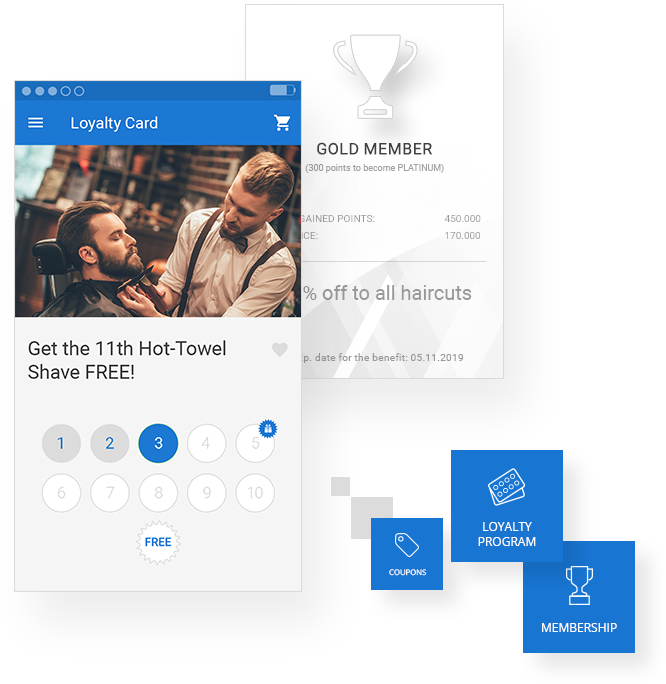 Offering behavior-based rewards, incentives and loyalty programs, will transform your business into a native part of your clients’ phone. Since rewarding your clients gets you up to 6 times more traction than website visitor, you’re basically rewarding yourself. We’ve created a range of time-saving features that facilitate clients’ engagement and satisfaction. Increase customers’ visit frequency, retention, and loyalty with a variety of customizable features to fit your business needs. Create an engaging point of sale and manage it from the App Admin. Follow up on orders in real-time, update products and upload new ones. Increase communication and clients support with notifications, live chat, and custom forms. Since your app may be the mobile face of your business you’ll want to reflect all changes and updates quickly. bobile enables you to edit and manage your app as well as engage with your clients using both your desktop workspace and the App Admin. 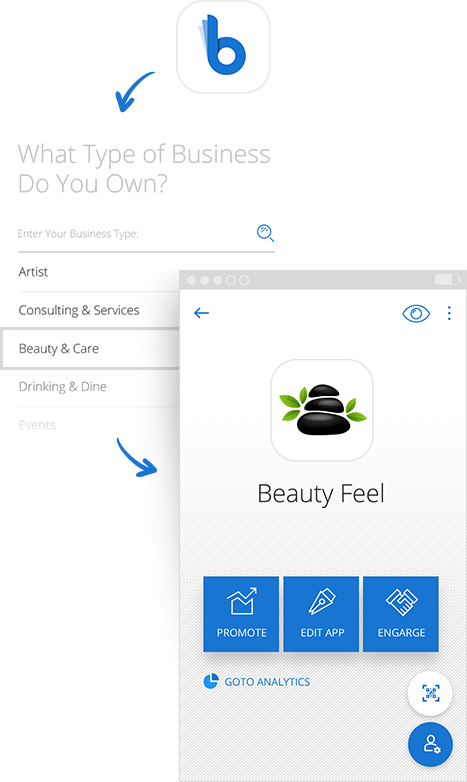 Customize your app to fit your business needs with branding elements and your business information. Promote your app to inform your clients about your new app via social media, emails and on your mobile site. 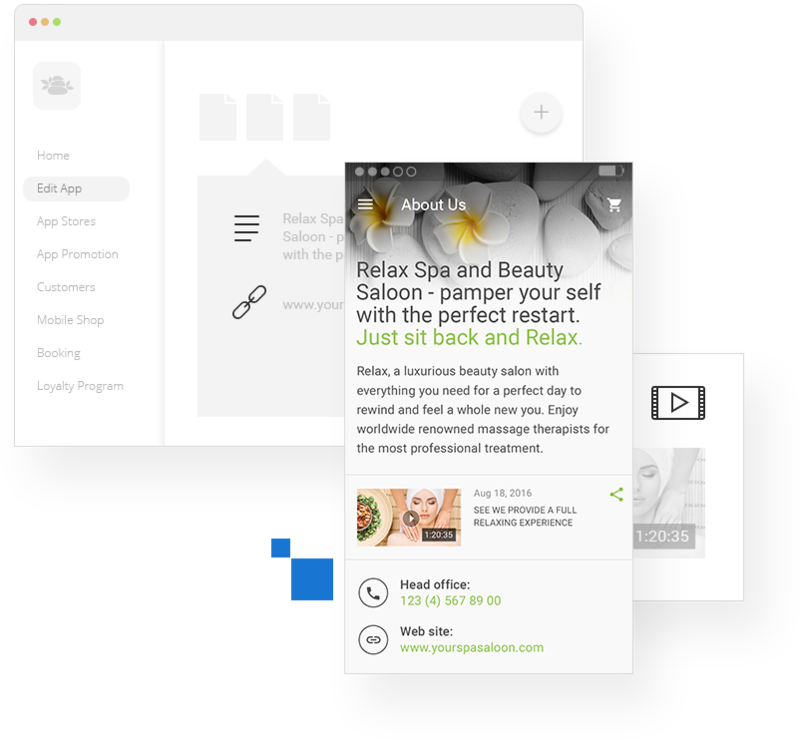 See a live preview of your app with every change you make, manage and streamline different elements of your business, promote and engage with clients anytime, anywhere. Backed by a unique patented technology, bobile provides you with an end-to-end client engagement and loyalty driving mobile app with the fraction of the costs and management efforts. All you need to do is register, fill a few fields, add a few images, download bobile App Admin, and you’ve got your own branded members’ club app.